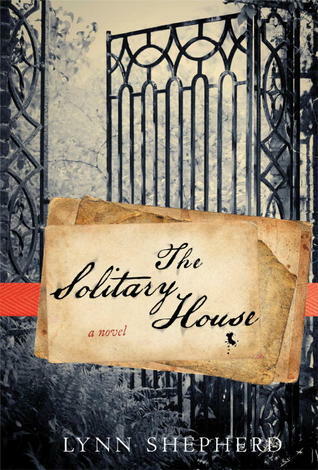 The solitary house was a book that I have had my eye on for a while. It is also released under the title 'Tom-all-alone's' in the UK. I had originally checked out the UK title from the library and had had to return it before I had the chance to read it but when I saw that the US version was available I was very happy to read this version purely for aesthetic purposes.This was the sequel/companion novel to A murder at Mansfield park, which I have not read but will definitively be checking out sometime soon. Charles Maddox is a young detective who has been called to investigate the discovery of a small body buried in a cemetery. The discovery of other newborns at the same site begins what is sometimes a harrowing and difficult investigation. At the same time he is approached by Tulkinghorn, a wealthy lawyer who is privy to the darkest secrets of the rich and powerful. He hires Charles to investigate the origin of some threatening letters that one of his clients is receiving. The investigation is dangerous and Charles is not willing to let it go when he discovers that something sinister may be happening beneath the surface. What follows is a great mystery that exposes the darker side of London. This book was not at all what I was expecting at all, which is not necessarily a bad thing. I haven't read Bleak House but had seen the BBC adaptation so there were a number of aspects/characters/story lines that I recognised. The writing was good and the story line was far from predictable. I liked that I didn't know what was going to happen half the time. A great mystery. The ending was superb and ends in such a way that I think that her next book A treacherous Likeness will continue the Charles Maddox story.